All the ghost, ghouls, and goblins come out to play on All Hallows' Eve including our 1 year old Beckett. This is Beckett's first year participating in Halloween activities and the only part he truly likes is being a monster. 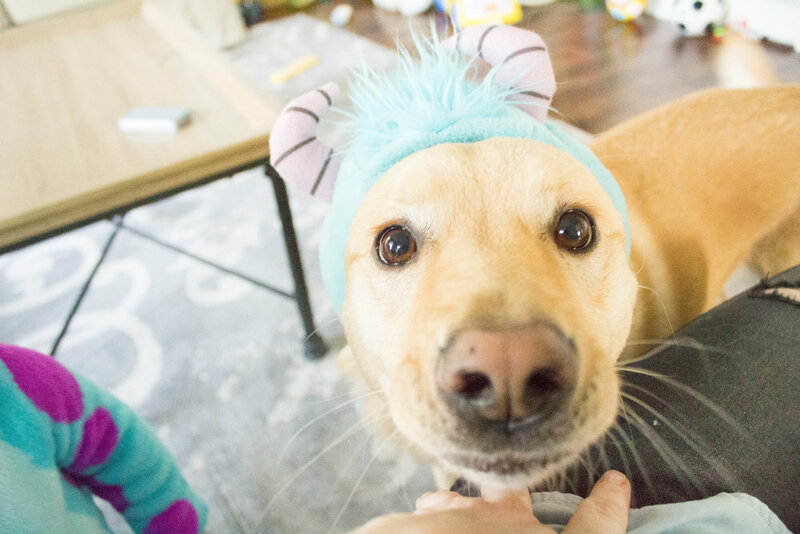 We decided to dress him as Sulley from Monsters Inc, because we love the movie and 'Sully' is Kegan's nickname. 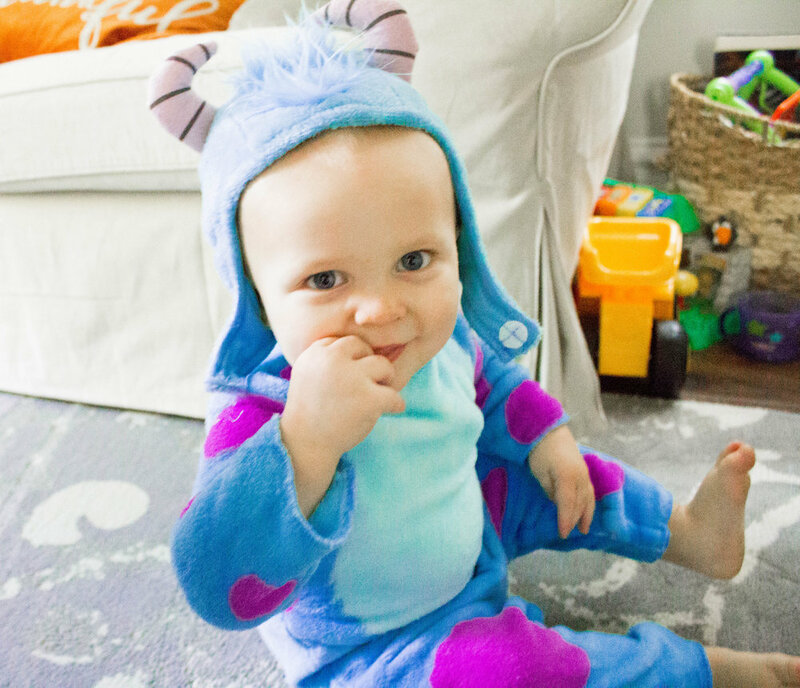 Beckett loved the body of the costume but not so much the footies, hat, and tail that came with it. Paisley enjoyed playing with her Brother while he was destroying our living room, they like to be in cahoots when it comes to the destruction of things. Eventually Beckett tired out and decided to take a rest on Paisley's dog bed, apparently only monsters sleep there! We will be Trick or Treating on Tuesday night, and I'm sure Beckett will have a blast, he most likely will have on pieces of his costume but at least he will get to experience this holiday!